During a Senate Foreign Relations Committee hearing today, U.S. Senator Tim Kaine questioned Secretary of State John Kerry, Secretary of Defense Ash Carter and Chairman of the Joints Chiefs of Staff General Martin Dempsey on the proposed Authorization for Use of Military Force (AUMF) against ISIL, announced by President Obama last month. 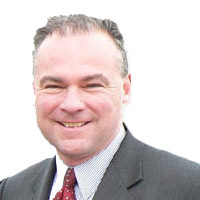 For more than eight months, Kaine has been a leading voice calling for Congress to debate and vote on a new authorization against the terrorist group. Expressing his hope that Congress will be able to pass a strong, bipartisan authorization, Kaine noted, “if we were to pass it in a narrow way or a partisan way, that would not send a message that would make people risking their lives feel very good about the risk that they are taking.” Kaine also spoke about the need to find a bipartisan path forward in remarks on the Senate floor yesterday. All three witnesses said no. In closing, Kaine acknowledged the “danger of a ground troop creep” under the proposed AUMF language and pressed for more clarity in the definition.